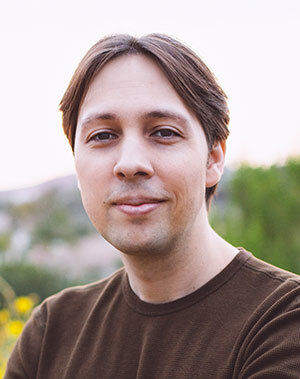 David Peterson is a linguist, author, and language inventor. While best known for creating the Dothraki and Valyrian languages for the HBO series Game of Thrones, Peterson has developed languages for a number of films and television series, including Defiance, The Shannara Chronicles, The 100, and Emerald City. Peterson earned his BA in English and linguistics from the University of California, Berkeley, and his MA in linguistics from the University of California, San Diego. 1) Some people study languages, but you go a step further by actually creating them. What’s the attraction for you? For me, the draw is the same as what drew me to sketching as a child and fiction as a teen. Language creation is an art, and the drive to do it is the same drive that led me to engage in visual art and writing over the years. Art is about expression, and language creation is artistic expression in the form of a language. 2) You’re best known for creating the Dothraki and Valyrian languages for the HBO series Game of Thrones. What were your criteria for those languages? In that case, the primary criterion was matching the aesthetic, grammar, and phonological character of the material in George R. R. Martin’s books, on which the television series was based. Beyond that, the people I was creating the languages for were human beings, and so I needed to create a language that was befitting of a group of human beings—that is, a language that appears in every way possible, to resemble a natural language spoken on Earth, irregularities and all. 3) How popular is language creation and who’s practicing it? While language creation is more popular than ever, it will likely always remain an art form that lies outside the mainstream. Engaging with language is a difficult task, as is creating a language. It takes a lot of time, a lot of effort, and a lot of skill. Those that excel at it are those who have devoted a serious portion of their free time to studying language in the abstract and to perfecting their art. Those who engage in language creation come from every corner of the globe and every age group and gender. Since it’s still a rare practice, most language creators find each other online, as has been the case since the early ‘90s. Unlike then, there are communities everywhere using every social media platform and every internet-based medium. I imagine these will only grow and expand with time. Related exhibit: Sarah Higley’s ”Language Architects through the Ages,” which includes work by David Peterson, is now on view in the Rossell Hope Robbins Library at Rush Rhees Library. The collection features not only language inventions of the past with artifacts from Rare Books, but contributions from contemporary inventors and artists. It will remain up through May. 4) Does language creation have academic merit? 5) Do you start languages from scratch or base them on existing languages? If it’s an a posteriori [known from observation] language, then of course I start with existing languages—specifically the languages from which vocabulary and grammar are to be drawn. For example, Trigedasleng, which I created for The 100, is the English language after it’s evolved over a period of 150 years in a specific science-fiction scenario. As such, naturally all the vocabulary is drawn from modern English, modified suitably with respect to the project at hand. If, on the other hand, the language is an a priori [known through understanding] language, then of course I do not start with an existing language. That would either be plagiarism or artistic laziness. 6) How long does the language-creation process take you? It depends on the project. My own languages I would spend months working on. For those I’ve created for television and film, though, I often get three months if I’m lucky. I’ve had as little as two weeks. As conlanging is a process that takes a lot of time and effort to do right, it should come as no surprise that I firmly believe that the best languages, artistically speaking, will be produced by conlangers not working for a television or film production. Working with Hollywood deadlines, it is possible to do good work, but not stellar work. A great language takes time to produce. 7) How extensive is the vocabulary, and are the languages thorough enough to carry on deep philosophical discussions? This is a bizarre question to me. The vocabulary of English, for example, is certainly much, much larger than the vocabulary of Hawaiian circa 1700, but that doesn’t mean Hawaiians were incapable of having deep philosophical discussions until English came along (or, rather, I’m sure there are some who would claim that, but that has more to do with ethnocentrism than language). That aside, vocabulary generation, which is the last step in the language creation process, is in many ways more mechanical than any other aspect of language creation. Taking Dothraki, the grammar is complete. That means Dothraki can translate absolutely anything at all, if it has the vocabulary. I could translate this entire e-mail into Dothraki (allowing for borrowings from English for culturally irrelevant vocabulary) if it had the words. I could do it right now and just drop variables in for the words I don’t have. Then at some point later I could go through and create all the words and slot them in. That is to say the size of a conlang’s lexicon is about as interesting as the size of a rubber band ball. It’s really impressive to see a large rubber band ball because, intuitively, we can guess at the time it must have taken to construct, but it’s not particularly interesting. For a naturalistic language, the process of creating vocabulary takes even longer than for, say, an engineered or auxiliary language, because the etymologies and interrelationships between words have to be created as well. For a semi-accurate analogy, consider the vocabulary of an auxiliary or engineered language to be mass-produced, while the vocabulary of a naturalistic language is hand-crafted. In imagining a concept that’s going to become a word, the naturalistic conlang creator first has to decide if the word should be a native term or should be a borrowing. If it’s a borrowing, the conlanger has to figure out what language it would be borrowed from, when it would have been borrowed, how its pronunciation would have changed, and if its meaning would have changed at all from the meaning in the source language. If it should be a native term, then the conlanger has to determine if it should have its own root, or if it should be derived from another word. If it is a native root, the root has to be generated and aged (with the relevant sound changes), and then the conlanger has to determine if the meaning will have remained unchanged throughout the centuries—and if not, they have to determine how it changed. If it’s derived, the conlanger has to figure out the derivational process, when approximately it was derived, if it was the result of regular or irregular derivation, if there were further sound or meaning changes, etc. Then another option is to consider either a compound or an expression (That is, there is no simpler way to say “table of contents”: that is the word for that object in English, and it’s an expression. Even so, someone had to coin it, and now we use it. The same is true of expression-as-words in conlangs). This is a process that a naturalistic conlanger has to go through for every single word in their language. This is why Dothraki has only 4,000 words, while the languages of Earth have hundreds of thousands of words. They also happen to have billions of authors, whereas a conlang typically only has one.